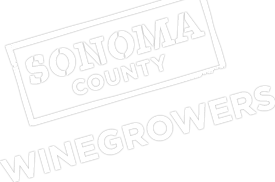 The Sonoma County Winegrowers 8th Annual Grape Camp took place September 22-24, where 30 wine lovers and enthusiasts from around the United States and Canada experienced three days of Sonoma County Wine Culture and activites. Take a look at USA Today Weekend coverage on Sonoma County Grape Camp as one of the top fantasy camps to attend in the nation. Summer may be over, but that doesn't mean that camps aren't still going strong – for adults, anyway. Throughout the USA, camps are available to make just about any of your dreams come true, from car racing to rocking out to wine tasting and so much more. Who says adults can't be happy campers, too? Click here to read the full coverage on Grape Camp!